TPC Overall Rank: #46 out of 2933 rides. In User Top 10: 344 times. User Tracker Count: 544 times. 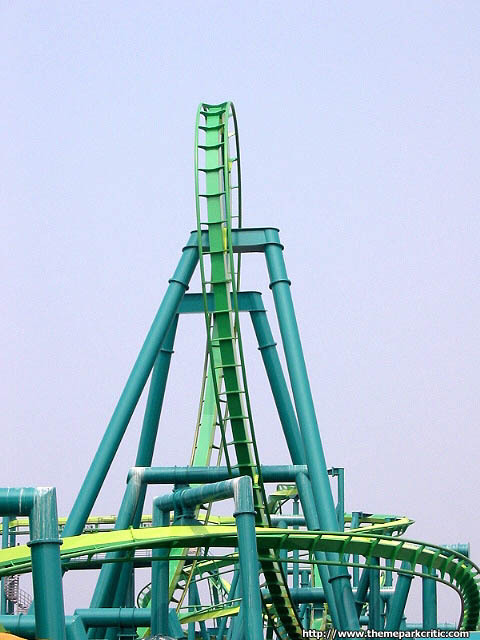 Raptor is my favorite inverted coaster. Alpengeist does not top it! Raptor is incredibly smooth and the first drop is amazing. I was lucky to get 4 straight rides on raptor (without getting off) through early entry. 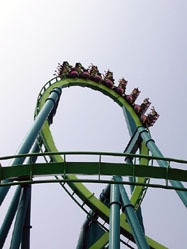 BEST PARTS: drop, cobra roll, and the pop of airtime before the 2nd corkscrew. THIS RIDE. Is probably my 2nd favorite after MF. I LOVE B&amp;M coasters. 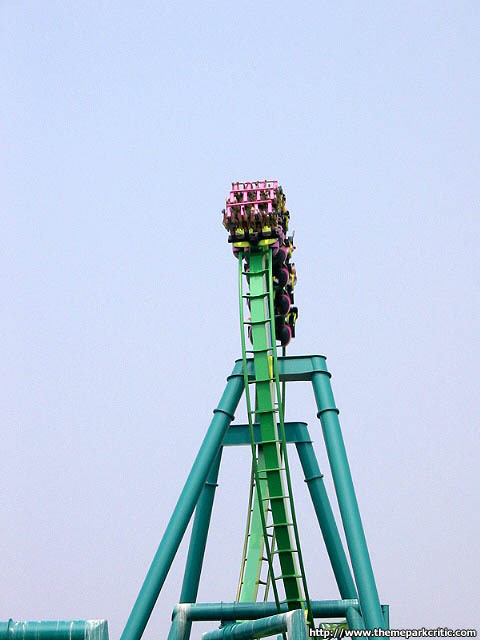 This was my first roller coaster at CP and i roe it with an empty train with my bestfriend. I went to CP June 30 - July 1 2011. The longest line for any ride was Maverick, only being about 45 mins. I love Cedar Point and all of the rides. Raptor is amazing. I hate this ride. It was rough for a steel, and had nothing special going for it but the fact that it is inverted. One of my favoire rides ever! You wait about 30 minuets long to get on, its so worth it. All the spins and loops. This is a don't miss for sure. I loved watching people go down screaming their heads off. I rode it for my fist time when my class went on a field trip like a month ago and it was awesome. I rode it about 1 pm and it was like 15 min. to 30 min. wait and it was worth it. The corkscrew was awesome. A must when the line is less then a hour. 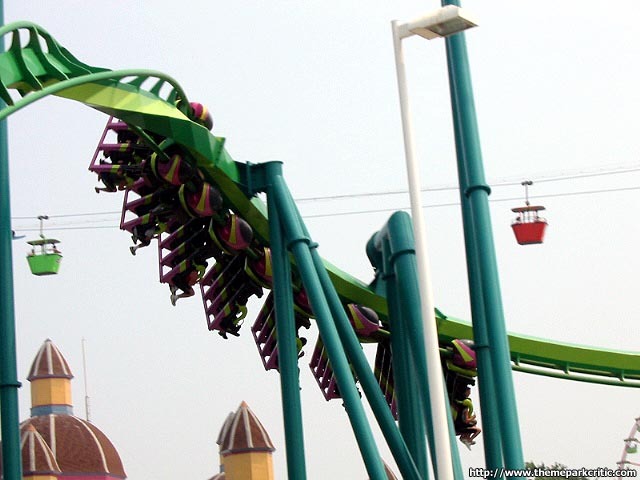 After returning to Cedar Point, I have decided to change my review of Raptor. It was riding much smoother, and was thoroughly enjoyable. 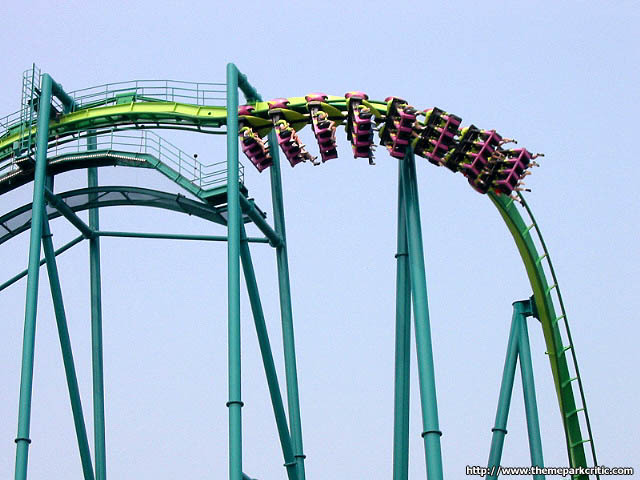 Raptor is one of the best inverted coasters out there. Unfortunately, it does have a few faults. One is that there is pretty much no shade for a lot of the line. People actually pass out in this line on hot days. The best way to avoid any problem with the line is to ride late in the day, after the morning rush is over. When I went, I could on in 15 minutes on a sunny friday. Another problem is the lack of landscaping. 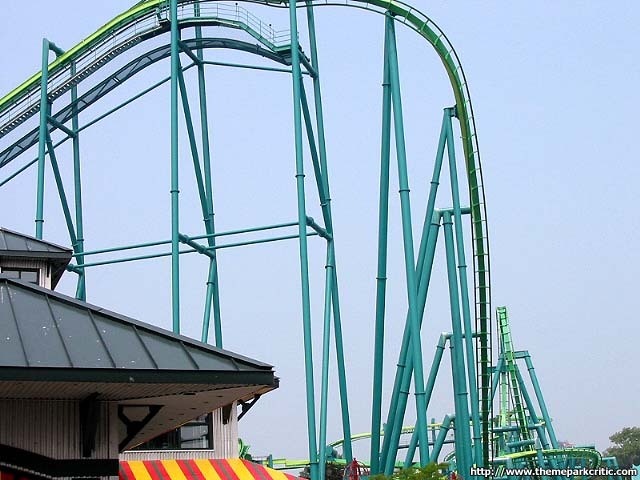 The fact the Cedar Point did nothing with the ride is the only reason I didn't give it a 5. Fortunately the ride is awesome enough to make up for that. 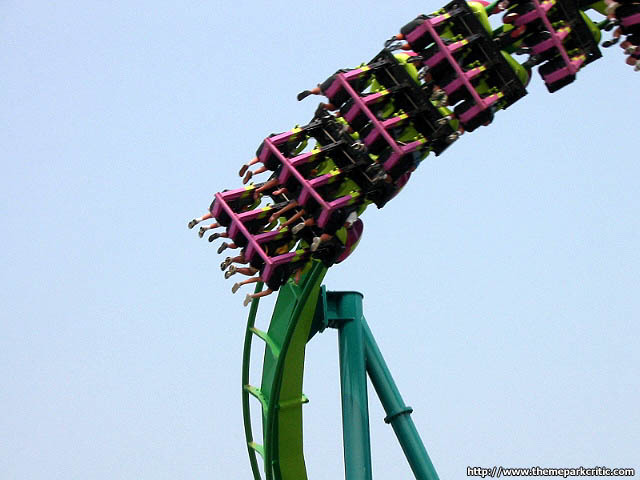 Worth a ride any time you go to Cedar Point, but just wait until the end of the day. After a harsh thunder storm that brought hail and lightning to Cedar Point was over me and my brother decided we would hed back and enjoy the coasters we hadn&#39.t experienced yet. We got in line and waited about 45 minutes and soon we were on. The layout of raptor in the beginning is similar to Vampire at La Ronde, meaning it was quite intense! You drop and go into an extremely tall inverted loop which gave some excellent g&#39.s and then into an insane Zero Graviy Roll. The thing that differentiates is the cobra roll which was very forceful and packed quite a punch qoing in and out. AFter the cobra roll you wrap around the zero gravity roll and get sucked back into your seat in a quick turn into The MCBR. The MCBR pinched our train slowiing it slighty and dowen we went into the twisted track turning to the right then we hit the first corkscrew which was Very intense and really flipped us around, we weaved a bit more around the loop and then hit our second corkscrew with even more intenisty then the first, after this we spiralled into an incredibly forcfull helix that provided intense positive G&#39.s, then we turned and hit the brakes. The turn can be a bit rough so keep your head back. Overall Raptor is a very solid invert that blows crappy SLC&#39.s out of the water and even beats the BTR clones and vampire! I have been on many top notch inverted coasters; Montu, Alpengeist, Batman the Ride (sfgadv), and off course Raptor. I think Raptor is better than Batman the Ride (sfgadv one), but not as good as either Montu or Alpengeist. Raptor also falls just short of being in my overall top ten steel coasters. The ride has fabulous elements to begin with like the 100 foot vertical loop, zero g gravity roll, and cobra roll. I also love the helix towards the end of the ride. The things I don&#39;t like about the ride are the two corkcrews towards the end. They can be very bumpy. And that sudden jerk right before the break run can be painful. 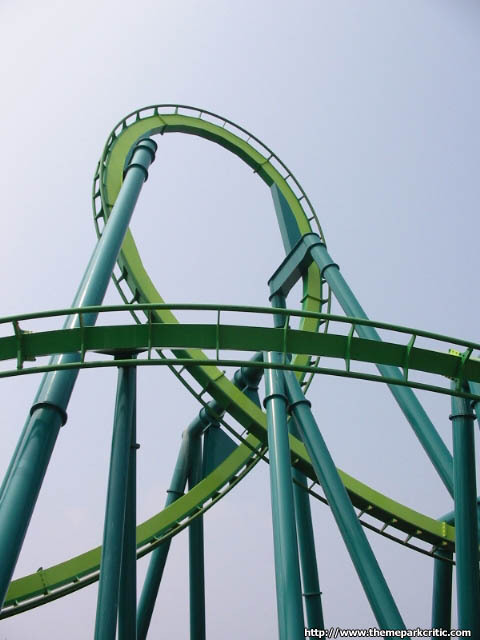 I have rode this coaster in 2001 and 2003 and for some reason I found it to be much more painful in 03.